Around 100 protesters, including the Chairman of the Menston Action Group (MAG) and a peacefully protesting contingent of dogs, gathered at the Menston/Guiseley boundary on the A65 in pouring rain on Sunday lunch time to bring to people’s attention the loss of Green Fields, the potential merging of Menston and Guiseley to be part of a Bradford/Leeds urban sprawl, and the lack of facilities to cope with yet more houses, if Ings Fields on the boundary are developed, . Passing motorists were invited to “hoot in you love green belt” and around half of passing cars did just that with gusto. After gathering where the Mire Beck crosses the road the bedraggled but cheerful and determined crowd walked up to Ings Lane, down to the proposed entrance into the housing development planned for Ings Fields, then back into Menston via the bridle path beyond St Mary’s school. Pictures, and more about the protest from yesterday’s post, below. Ballroom dancing has joined the ballet classes at Menston’s Kirlands Community Centre on Tuesday evening, beginning of 14 April. Ballet classes for grade 4 to intermediate are well established from 6.00 to 7.15pm, turning out award winning dancers; most recently three students at the Menston classes being chosen to dance with English Youth Ballet in Giselle at St. George’s Hall, Bradford, in June. The ‘Strictly’ classes are being brought to Kirklands by Sandra Beaumont, former UK champion and championship adjudicator. The new classes will cover Ballroom and Latin at 7.30pm, then Rock & Roll at 8.30pm, each Tuesday . There are some Tuesdays when Kirklands is not available for the dancing so consult the ‘Events’ listing to see if they have been arranged in another location. 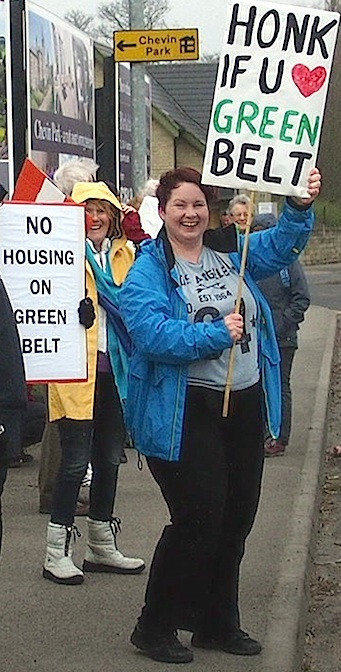 Menston and Guiseley Greenbelt Protection Group had a day of action rally, walking the site under threat, which is just off the A65, behind the BP petrol station. The rally was organised together with WARD (Wharfedale & Airedale Review Development). On this day Community Voice on Planning prepared a National day of action to protest at the loss of greenbelt between settlements which is leading to urban sprawl and a reduction in social standards across the nation. The walk was intended to show Leeds where the real Menston/Guiseley boundary is and should be preserved as a slice of green between the two settlements. The walk was organised by Liz Kirkpatrick at mandggpg@gmail.com, phone 01943 875640. The author of this site has recently become aware of a discussion on the village Facebook site (he does not like or use Facebook but it was shown to him) concerning anti-social behaviour by a small group of boys (11-12 years old?) in the park or adjacent to it on Easter Sunday. Following a notice about it, some Facebook users who clearly had no direct knowledge of the incident ‘defended’ the boys concerned saying they were “just kids” with nothing to do and only doing what “we all did” in our youth and they would soon be back at school and the problem would go away. Not true! These are three extremely unpleasant youngsters looking for trouble and the Easter Sunday incident is not unique; at least one of these boys, who seems to be the ‘ring-leader’, has been seen behaving unsociably in the park on several occasions when schools were not on holiday. 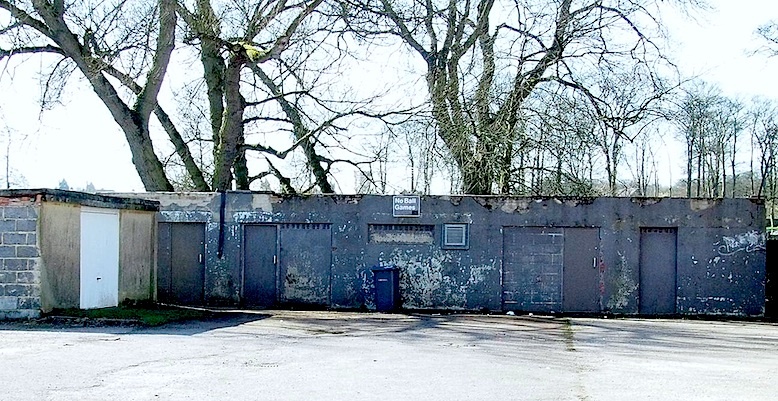 The Low Hall Road side of the eyesore building at the side of Menston Park, behind the Scout hut. A magnet for the more unsavoury elements of Menston youth. The building on which they were misbehaving, that behind the Scout Hut, is the location for frequent seemingly ‘seedy’ goings on with young people. 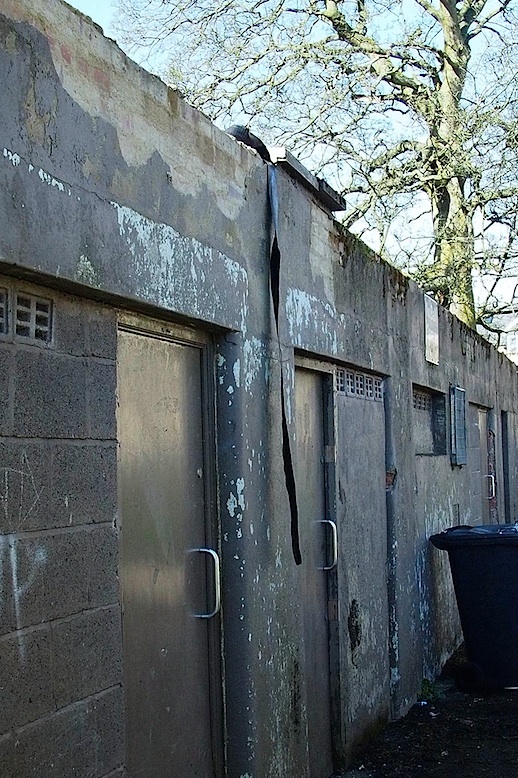 It is adjacent to the ‘over 55s’ flats at Menston Hall and Sunday’s incident was unpleasant for those residents because of the appalling, obscene language used, loudly, by the boys on the roof of the building over a period of around an hour. Another young person did remonstrate with them only to attract taunts – laced with obscenities – to fight. What is more, when the three left it was not before attempting to smash in the doors of the building, whatever it might be. Insulation, kicked free by boys on the roof, hangs down. Notice the many gaps in the edging stones. The boys involved in the Easter Sunday incident will be reported to the police; publishing their pictures on this site was considered but they would probably just enjoy the notoriety and indulge in even more anti-social behaviour. It is a great pity that this small minority spoils a wonderful Menston amenity; it was a joy to see the park full of families and young people on Easter Sunday. Just a few need better educating to use the many litter bins! However, whatever authority is responsible for this building should be taken to task by the Parish Council. Buildings in this state inevitably attract hooliganism and further vandalism. 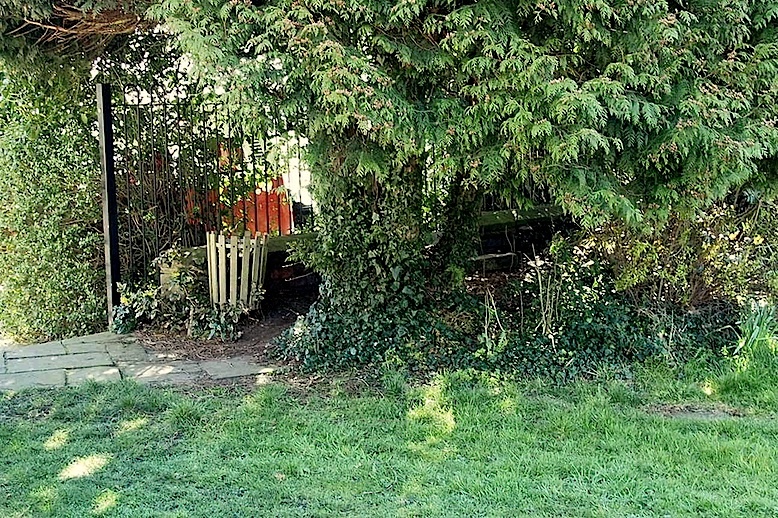 Another corner of the park which attracts unsavoury elements is at the back of the children’s playground behind another ugly building, or on the other side of the fence behind it. This is a pity as many young children play there usually doing no more than hide and seek though they often need to be reminded not to trample down the flowers planted by residents. Almost every morning empty packets and drinks cans/bottles are scattered here even though there is a strategically placed litter basket (see photo). 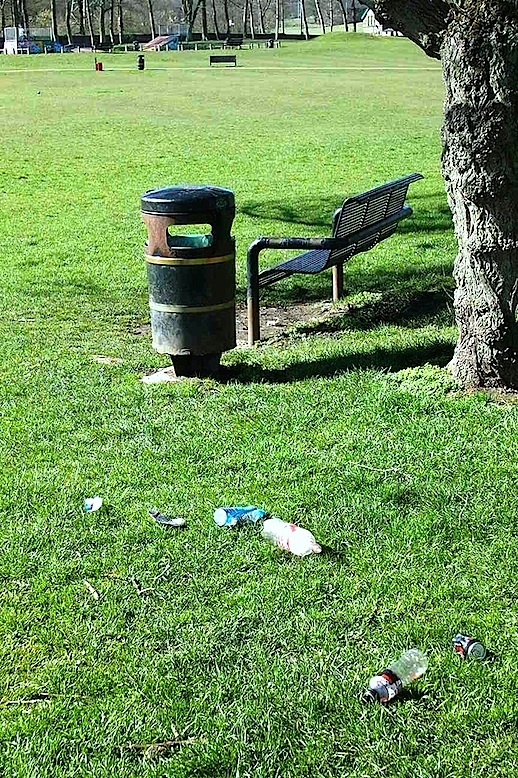 In fact litter in the park is far more widespread. Easter Monday morning litter next to the seat close to the building mentioned above, with a litter bin adjacent, is shown in another picture below. NB. The Alan Ayckbourn play at the Highroyds Social Club is this coming Friday evening, not Friday 17th as originally listed in ‘Events’ and in the ‘Imminent events’ calendar. These have now been corrected but unfortunately this may happen when things are picked up ‘on the grapevine’. A plea to Menston organisations: please send information on your events, meetings, etc in good time to menston.village.wharfedale@gmail.com otherwise they can occasionally be mis-publicised or not publicised at all. Another discussion on another social media site ( click Streetlife) is worth a look by Menston residents (and joining in). What began as a discussion about Otley’s one-way systems has now spread to include discussion of the Bingley Road/Buckle Lane/A65 junction and traffic lights. “Of course not” was the unequivocal reply of independent flooding and drainage expert, Dr Duncan Reed , when asked at last Thursday’s (29 Jan) meeting of the Bradford Council Regulatory & Appeals Committee whether he would buy a house on the proposed Bingley Road, Menston, housing development. Having heard also a warning from solicitor for the Menston Action Group, Chris Schofield, “Put simply, if you get this wrong, householders and their insurers are entitled to hold you legally responsible”, the committee did not approve the scheme. You do not have to be an expert to conclude from a careful reading of Dr Reed’s report, and that of Professor David Rhodes before this, that anyone buying a house on this development would be very foolish. It is clear that the Bradford Council officers advising councillors to go ahead did not, do not, have the necessary expertise to give that advice. This in itself is no reflection on them: flooding resulting from situations like that of Menston is only just beginning to be understood. Of course this is not likely to be the end of the matter; there is a lot of money to be made, and not only by the developers, but almost certainly also by a small group of individuals who have backed the scheme from the start. The developer’s agent has already indicated that if they do not appeal against last week’s decision they may instead proceed with another application for the same site. Objectors to the R&A committee decision who commented on the Telegraph & Argus news report (in particular ‘Toni’ – who insists this is her/his real name), are completely wrong when they say, or imply, that those opposing the planned developments are a few wealthy ‘nimbys’ who would be directly affected by the flooding. 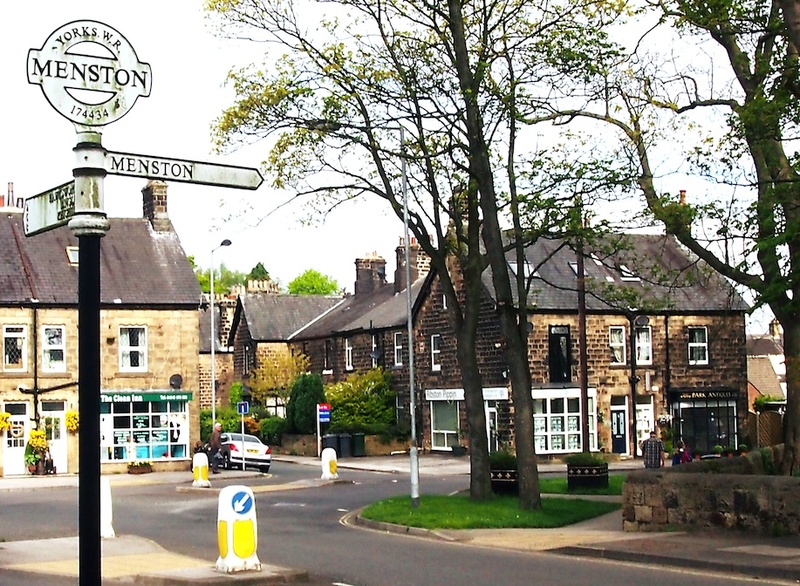 By far the larger proportion of Menston residents who voted overwhelmingly against the Bingley Road and other developments in the referendum on the matter, would not be directly affected by the consequent flooding, nor are the developments in ‘their back yards’, nor are they ‘wealthy’. What these residents would be seriously affected by would be the overloading of already stretched health, educational facilities and transport and the irreparable damage to one of Yorkshire’s special attractions – village life in the individual communities which are scattered throughout the vast Bradford metropolitan area. 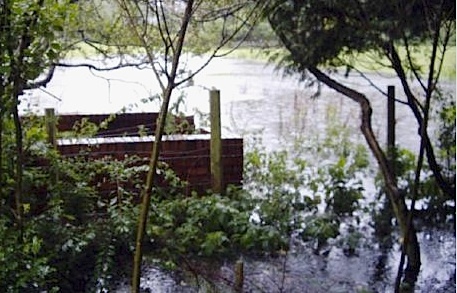 However, faced with a Council which thinks nothing of destroying its villages and semi-rural communities, and not only Menston, and developers and ‘Tonis’ who care even less, the stupidity of building on areas prone to flooding was the most likely reason for the Council to stop the developments if Councillors could be made to listen to the overwhelming evidence, which previously they have refused to do. We now await the outcome of the recent High Court hearing on the other similarly foolish planned development, off Derry Hill, Menston. For all the background, go to the Menston Action Group website: menstonactiongroup.wordpress.com. You can always get to the MAG website using the link in the right sidebar. Confusion! Deliberate or just, as someone remarked at the Menston Neighbourhood Forum on Tuesday evening, that the right hand in Bradford Council does not know what the left is doing as far as housing developments are concerned? LATEST INFO RE COMMONS DEBATE (see below): Should be 5.00 – 5.30pm today (Thursday). What did come across strongly is that having run up considerable costs making plans for dealing with traffic problems relating to the proposed housing developments on Derry Hill and Bingley Road, which are mostly not wanted by residents, nor required if the developments do not go ahead, BMDC officers are now desperate to get the money from the developers. To do this they have to ensure that the developments go ahead. Bulldozers in the Community Centre? There were several attempts to bulldoze the plans through by trying to convince the assembled Forum that it was already a done deal. Several residents, led by Philip Moore, of the Menston Action Group, and Sue Rix, Menston Parish Councillor, were having none of it. Both representatives said that at the ‘consultation’ re the plans (which Philip insisted was not a consultation but an exhibition! ), they and many others had been assured that an amended plan resulting from the ‘consultation’ would be fed back to Menston before anything went ahead. This had not happened. Principal Engineer, Highways, at Bradford Council, Simon D’Vali, and Richard Gelder, Transportation Development Manager, capitulated under the pressure and said that the amended plans resulting from the ‘consultation’ would be sent. Nevertheless, the BMDC officers insisted that the Derry Hill developers would be signing the necessary agreements and the Council would get the money and begin the appointment of contractors within a very short time. In comes Emeritus Professor David Rhodes (the BMDC officers had left by this time) to tell us that, backed by simulations using “the best software available”, taking 16 days on a ‘super-computer’, he now had “absolute proof” that building on the proposed sites was not viable. This was backed up by the British Geological Survey (which, as its website states, is “the United Kingdom’s premier centre for earth science information and expertise”). 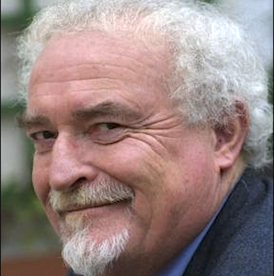 Prof Rhodes said that he had submitted his report to BMDC before Easter but there had been “zero feedback to date”. Decisions to grant planning permissions for the developments had been on the basis of a complete lack of the necessary expertise to make sound decisions, and evidence supplied by Menston representatives had been ignored, Prof Rhodes said. 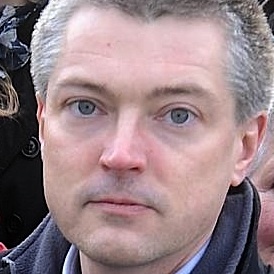 Should the council go ahead with the developments without properly taking into account the evidence he would take them to court, he added, “and we will win”. “What happens if the developers start work?”, someone asked. They would immediately be served with an injunction to stop it, Prof Rhodes said. Against this background, our MP Philip Davies has finally got the Adjournment Debate in the House of Commons on planning in Bradford Council and the experiences of Menston. It is tomorrow, Thursday 5 June. He will have 15 minutes to make our case. Adopting the name Menston Business Association, a logo based on the sign seen as the village is entered from the A65, and a declaration that Menston is ‘The best village in Yorkshire‘, a new grouping of Menston businesses has been launched, among its aims being mutual support and promoting the use of local shops, tradesmen and other businesses to the residents of the village. Election Week: Next week is election week and candidates for the Wharfedale Ward of Bradford Council, which of course includes Menston and Burley-in-Wharfedale, have answered some questions relevant to Menston, these being published on this site today. Click the appropriate link below for the full story. AN APOLOGY: For the past few weeks notifications of comments, likes and new followers have not been arriving in the email inbox as they should. Comments have to be ‘approved’ before publication, unfortunately, because of the number of ‘spam’ comments received. So some have not been approved and therefore not published. Apologies; hopefully this ‘glitch’ has now been corrected. Webmaster. 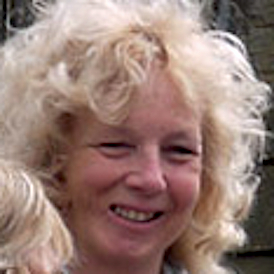 Meeting on 14 May, representatives of businesses based in the village chose an MBA committee of five led by initiator of the group, Christine North-Minchella of The Studio in Cleasby Road as Chair Person. Other members are Andy Greer, Ribston Pippin Estate Agents; Nick Cahill, Plumbing and Gas Engineer; Marc Hill, Menston Co-op; Zandra Monre-Cochran – Kindercare (Cleasby Road); Roger Livesey, Webmaster menstonvillagewharfedale.com, as Ex-officio Publicity Officer. A section of this site has now been allocated to the MBA, this being accessed by clicking the logo at the top of the right sidebar, from the menu item under ‘Businesses’ (or by clicking MBA here). Future activities, minutes of meetings, etc will all be published in the MBA section as well as, when appropriate, blog posts such as this one. Apart from name, logo and the strap line ‘The best village in Yorkshire’ (to be used on all literature from the association), a membership fee of £1/week was agreed, and production of a leaflet to be distributed to all households in Menston, including High Royds. In fact, High Royds is so closely associated with Menston although it is not now administratively linked, the MBA is intending to campaign for removal of the ‘fence/gate’ on the direct road to the Bingley Road mini-roundabout, which currently ‘cuts off’ the village for vehicular traffic. Philip Davies MP is already on board in this endeavour and has promised to follow it up, after MBA Chair Person Christine spoke to him about it. Founder (now Secretary) of the Burley and District Chamber of Trade (BADCOT) , Roger Charnley, was warmly welcomed to the 14 May meeting and offered some valuable advice based on experience of 11 years since the foundation of BADCOT. He said the neighbouring organisation would offer whatever support they could in making the MBA the kind of success which BADCOT has achieved. Among those successes is the Christmas market, which now attracts 2-3,000 people. Networking was identified by Roger as a major advantage of an organisation like BADCOT and MBA. This advantage has already been seen operating in just the two meetings which MCA has had, with business being put by members with others. In this context any Menston-based business is welcome to join the association and attend future meetings (date and venue of which will be announced on this site as and when they are known). Parking and imposition of double yellow lines were raised as one of the major problems for businesses, shops especially, in Menston. Some members believe that residential parking permits and short-time visitor parking bays are part of the answer. Members were advised to come to the next Neighbourhood Forum at Kirklands Community Centre and raise the issue, as Simon D’Vali, Principal Traffic & Highways Engineer at BMDC, is due to attend.